If your car gets dirty for ANY reason bring it back within 48 hours and we'll wash the exterior for FREE! *Not valid on Exterior Wash.
*Not valid with any other disounts, coupons or promotions. WASH ME Car Salon is dedicated to providing the highest level of quality service for all our clients. We offer a state-of-the-art car wash and detail facility so that your visit will truly be a unique and enjoyable one. Our goal is to ensure that your car leaves our salon like it just left the showroom. 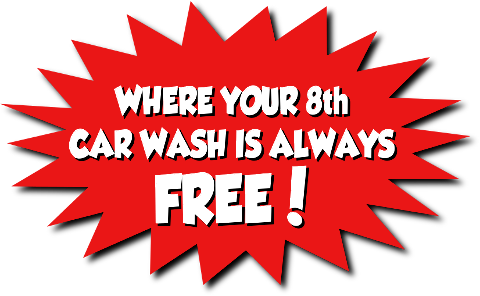 Please feel free to check out our Wash Services and Detail Services. We also have a range of Coupons available for select products and services, as well as a selection of Wash Passes and our Loyalty Program. 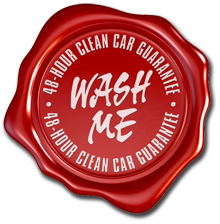 WASH ME Car Salon is a BBB Accredited Business with an A+ rating.